In the Volo Auto Museum in Lake County, Illionis State, you can see a pink Cadillac which, many years ago, belonged to rock and roll legend Elvis Presley. The car, manufactured in 1974, was discovered by chance by the museum director Brian Grams, when he was looking for new exhibits. The car was bought 40 years ago by an avid collector, and was kept away from the public eye until now. It is rumored to be the only car that was owned by Elvis Presley and had not been found so far. It can be seen by anyone who enters the Volo auto museum. 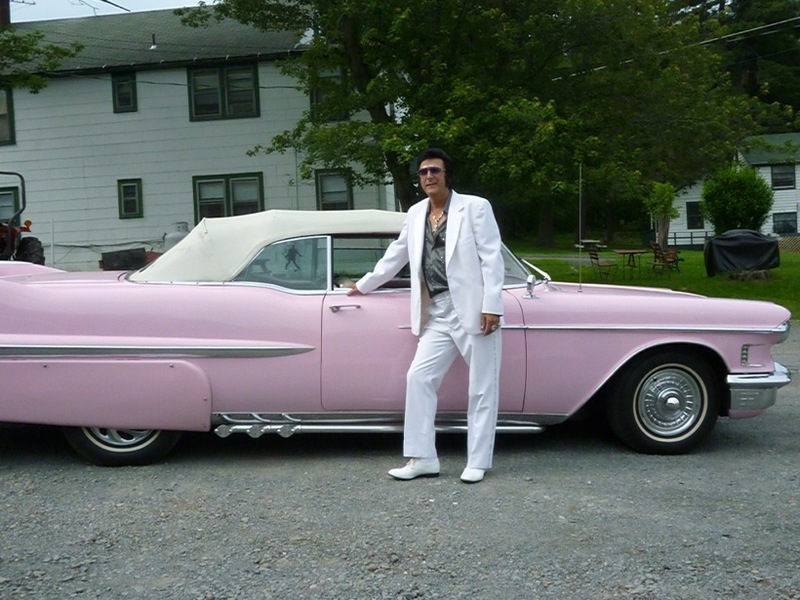 An auto expert, from Sidney, Allan Levinson believes that the car is a four-door Sedan de Ville specially customized for Elvis Presley. Changes have been made by the american company Sunroof, same that built a car for Dean Martin also. The vehicle was purchased by Presley in 1974, but remained in his possession only for a few months, Elvis selling the car after that. It still has license plates from Tennessee and original documents and also can be seen in a series of photos from the ’70s, made in Graceland. Cadillac is not the only car that belonged to Elvis and passed on to several owners over time, is currently owned by Volo Auto Museum. Another Cadillac from 1972, which had once been also in the possession of the rock and roll king, was put on sale at an auction in Santa Monica in 2013, but not sold. This model, like the one in ’74, was modified by the american Sunroof company. But unlike the pink copy, the latter was kept by Elvis until his death. The car was at Graceland until 1995, when it was auctioned along with other collectibles that were related to Elvis Presley.